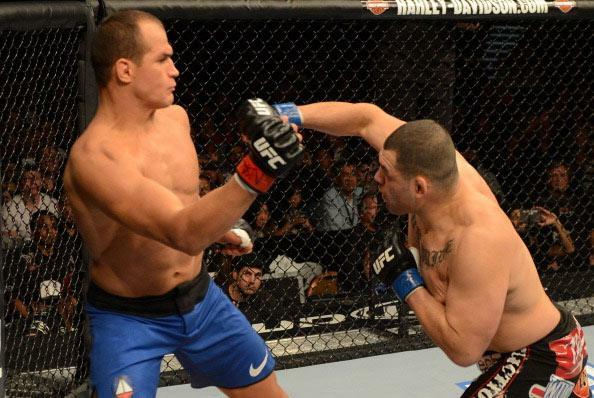 LAS VEGAS – Cain Velasquez is not a perfect fighter; Junior dos Santos proved that fairly conclusively in 64 seconds last year. 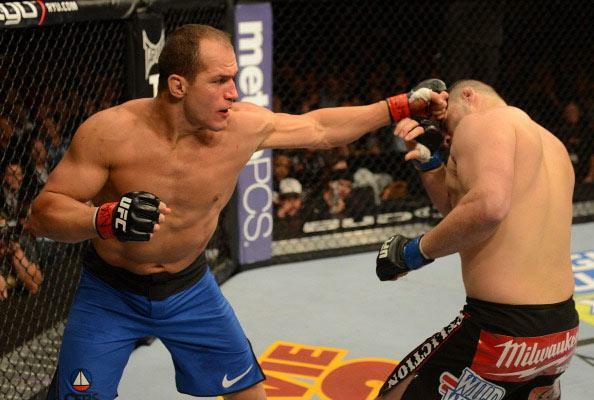 But when Velasquez is on top of his game, as he was on Saturday in the heavyweight title match with dos Santos at UFC 155, there aren't many heavyweights who could compete with him. 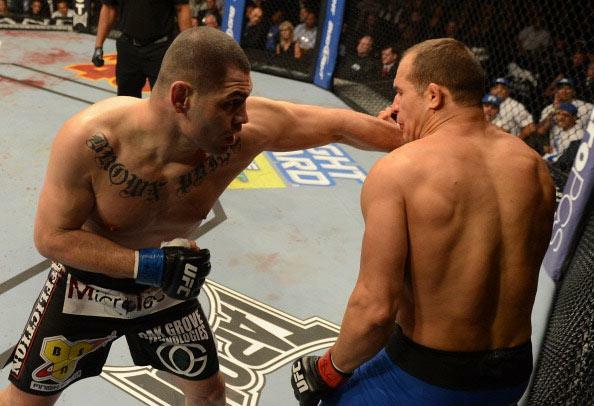 Velasquez conclusively proved he's the best heavyweight in the world by putting a frightful five-round beating on dos Santos in front of 12,423 people at MGM Grand Garden to regain the belt he lost on Nov. 12, 2011. He fought with a fury, relentlessly attacking the power-punching Brazilian, taking out 13 months of frustration with one epic performance. It was by far the best performance of a great career, and it was fueled in large part by a desire to prove a point to those who mocked him after his only loss. 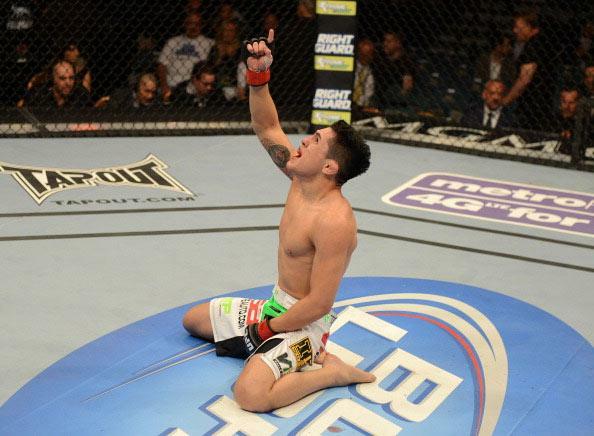 Velasquez was taunted by fans after losing to dos Santos at UFC on Fox 1 in Anaheim, Calif. last year. He remained stoic and tight-lipped in the interim, but it was clear he had heard those words. He responded to them Saturday by taking an elite opponent and sending him to the hospital a bloodied, swollen, beaten mess. Judges scored it 50-45, 50-44 and 50-43 for Velasquez. In a sport where it seems there is always a reason to worry about the judging, this was as one-sided as it gets. 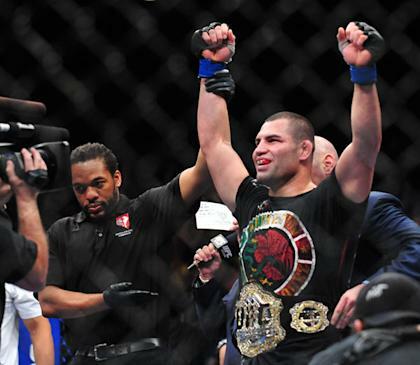 Velasquez regained the heavyweight throne and sent a message to the front-runners and know-it-alls in the fan base who mocked him. "People out there were saying this and that for a whole year, and I just had to go out there and prove [I am the best]," he said. 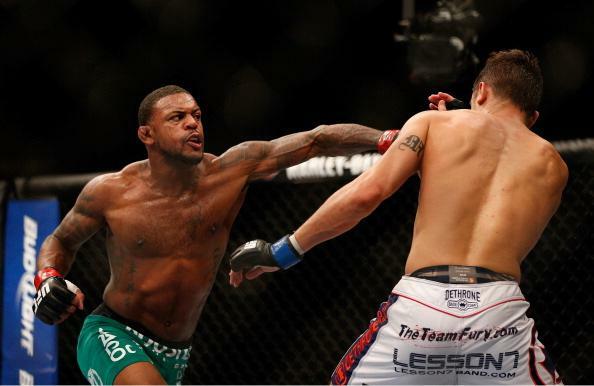 Prior to Saturday's bout, dos Santos had spent a total of 13 seconds on his back in nine UFC fights. 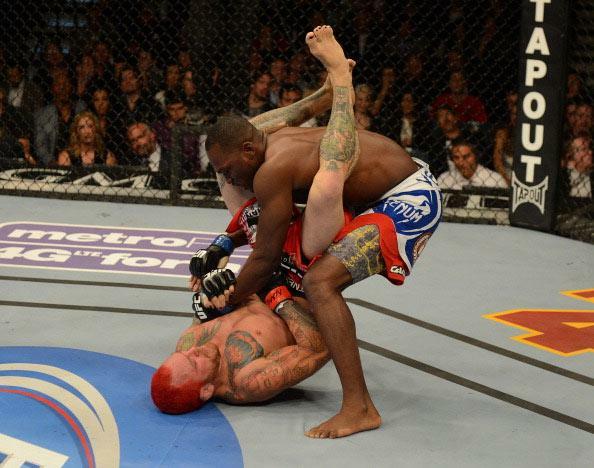 But Velasquez took him down repeatedly, and once on the ground, he wore the champion out with his grappling. 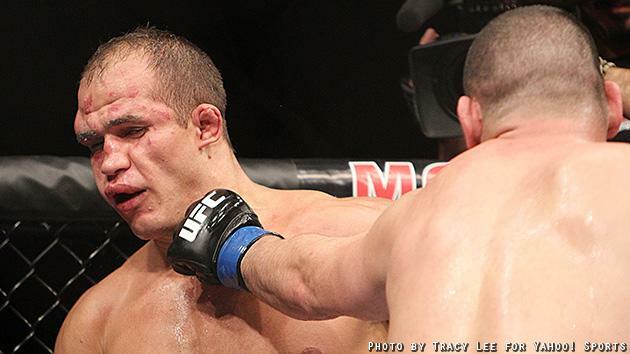 During the fight's build-up, dos Santos said, "If he takes me down 10 times, I'll get up 10 times." He deserves plenty of credit for repeatedly getting up Saturday and coming back for more, though by the middle of the second round, he was clearly a beaten man. 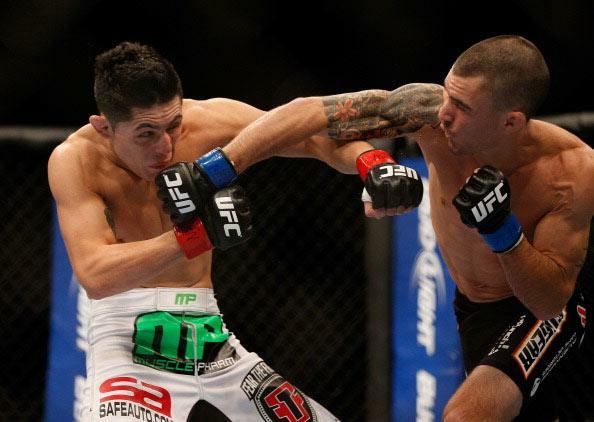 "It got easier a bit as the fight went on because the pace of the fight tired him out," Velasquez said. "It was the pace [that took its toll on dos Santos]. That wrestling pace, carrying someone's body around for that long, it's tough, man. I've been doing this my whole life, and it's a thing you have to do for so long. Mentally, it gets you so strong." 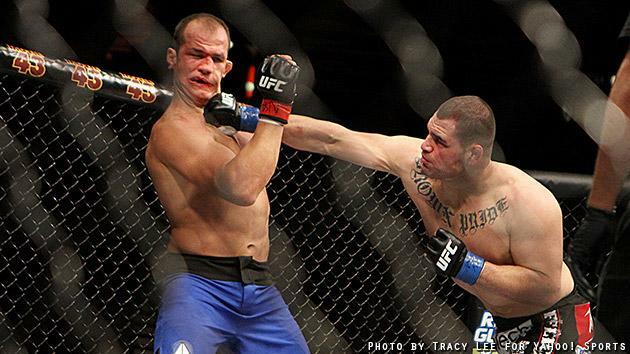 A big difference this time was Velasquez's ability to out-strike dos Santos. 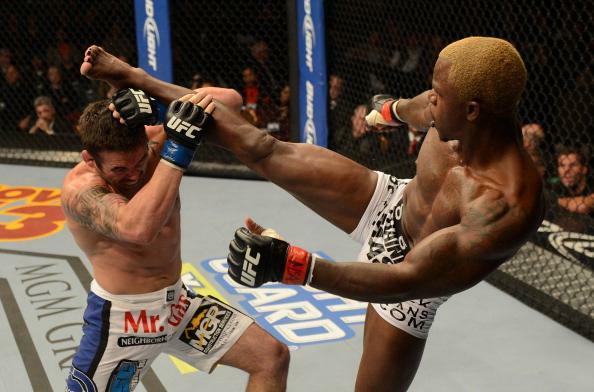 He landed a massive right hand early in the first round that sent dos Santos staggering back in retreat. 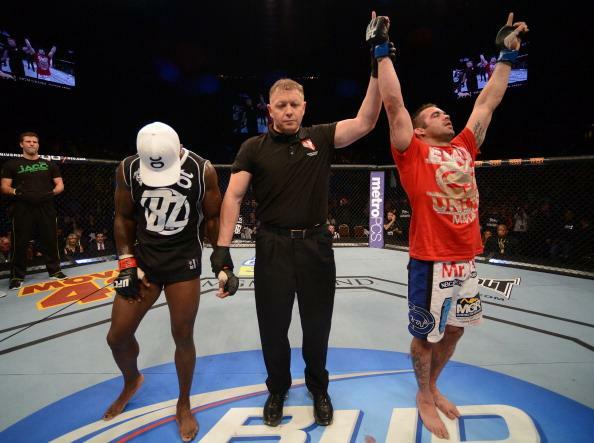 Dos Santos never got back into the fight offensively, though he continued to try. 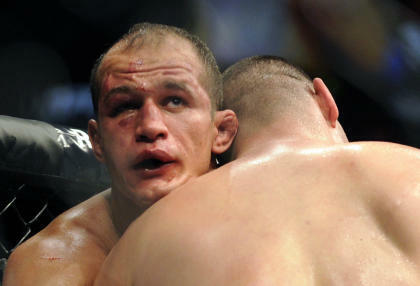 His face was badly swollen, and he was barely recognizable when the fight ended. He was taken to the hospital for x-rays, but his manager, Ana Claudia Guedes, said he had been given a clean bill of health. She said he suffered no injuries and was speaking hopefully of a third fight with Velasquez in the future. That, though, won't be any time soon. 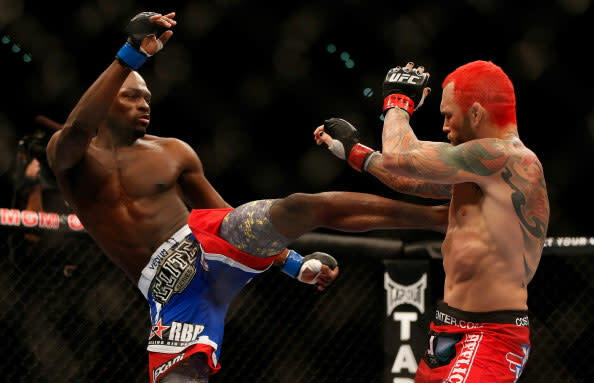 He'll need plenty of time to heal from his injuries, and the bout was so wide that UFC president Dana White said he'll go in another direction before considering a rubber match. 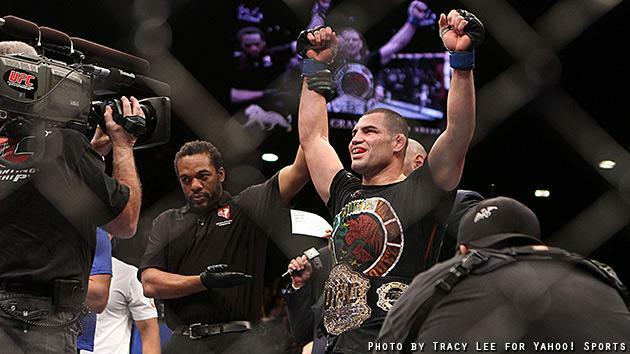 The most likely challengers are Alistair Overeem, Daniel Cormier or Fabricio Werdum, though nothing is set. 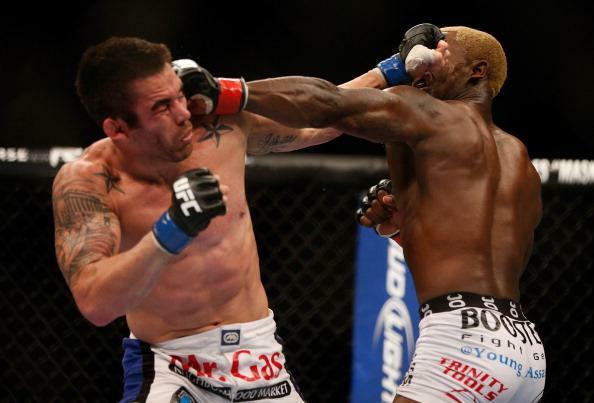 No one could be too eager after seeing what Velasquez did to dos Santos. 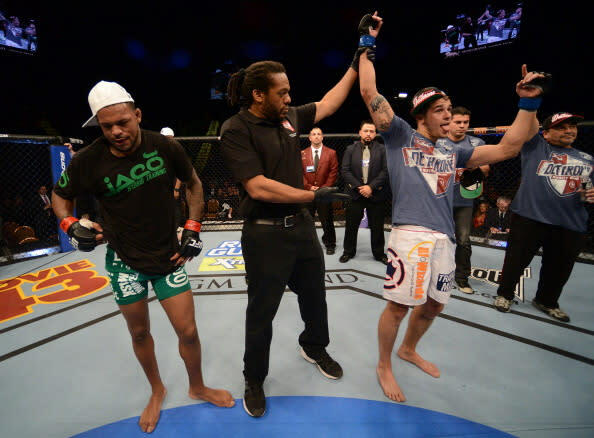 Dos Santos vowed to regain the belt, but a healthy Velasquez is a bad match for him. 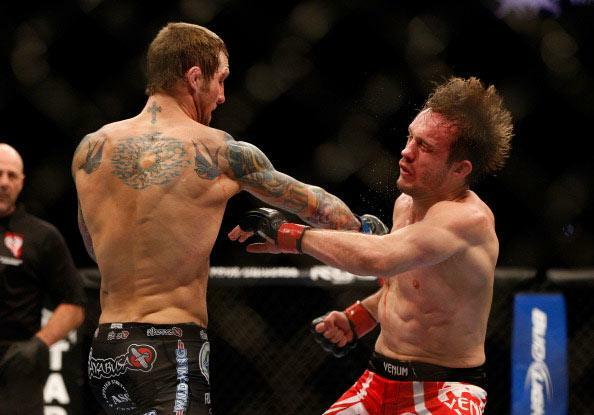 "As tough as Junior dos Santos is, and was in this fight, that was a very one-sided fight," White said, suggesting dos Santos would take a lengthy break. "This isn't one of those fights you come back from quickly," White added. 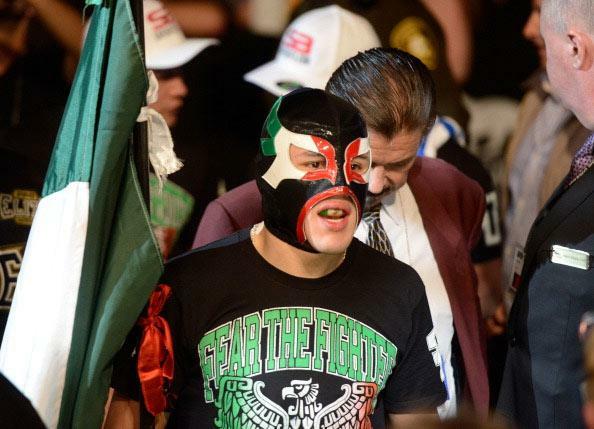 Before the fight, Velasquez did his best to quell talk about the impact his injured knee had on the first fight with dos Santos, but on Saturday, he conceded it was a major factor. He was healthy this time and it showed. He's 30 and right in the middle of his prime and has the added bonus of having had a title reign to learn what it is like as a champion. There are far more demands on one's time and expectations soar, but the biggest problem many first-time champions face is how hard their opponents compete against them. Every fight becomes a Super Bowl for a title challenger and sometimes, Velasquez conceded, it takes a while to adjust to that. 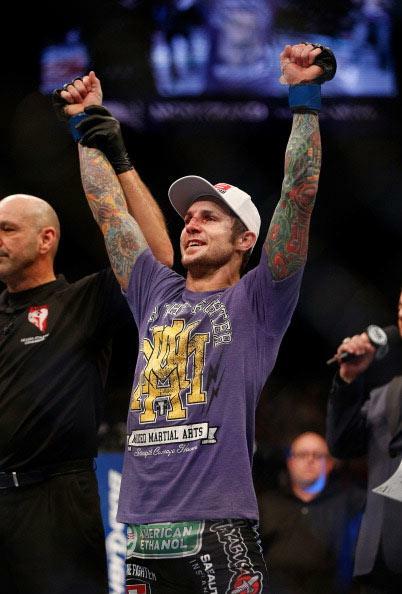 "You've always got to be evolving [as a fighter] because this sport is evolving so fast," he said. "I have to go back and get better in everything. 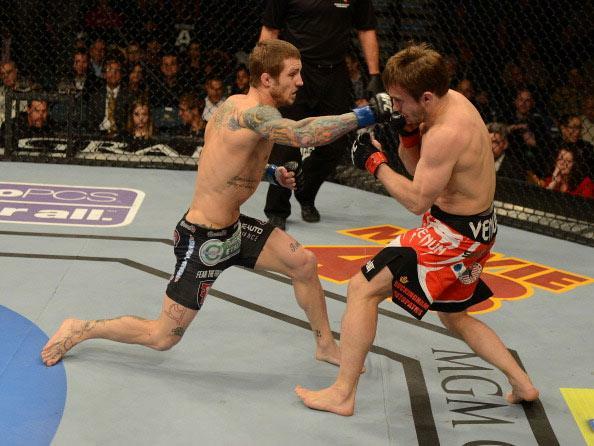 And when it comes down to it in the fight, I have to show up that night and do what I trained to do." He did that on Saturday and established himself without a doubt as the finest heavyweight in the world. Unlike his first reign atop the division, this one could last a while.